Jonathon is currently the Family and Health Administrator with Catholic Charities Community Services Westside Head Start Program. Previously, he was the manager for Phoenix Children’s Hospital Center for Family Health and Safety. Jonathon worked as the State Director of the Arizona Head Start Association (AHSA) to strengthen member agencies and partners who enhance the lives of young children and families by serving as the unified voice of the diverse Head Start/Early Head Start community through advocacy, collaboration and education. Jonathon has served as the inaugural Regional Director and with South Phoenix Regional Partnership Council with First Things First. He led his council through the needs and assets, strategic and funding plan processes that required consistent re-evaluation to ensure the meeting of organizational benchmarks. He developed or co-developed several flagship strategies that included family resource centers, dental screening re-imbursement, and community outreach. In the past, he worked as the Director of Community Outreach with Children’s Action Alliance and Prevention Specialist with Maricopa County Tobacco Education and Prevention Program. He is an alumnus of Brophy College Preparatory and holds a master’s degree from Arizona State University. Jonathon is in the current class of Valley Leadership Institute, Class 39. He serves in the Arizona Army National Guard as a First Lieutenant and Executive Officer with the 3666th Support Maintenance Company. 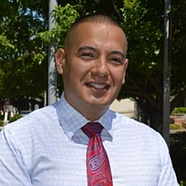 He is a servant leader who thrives on serving his community and working with other valley leaders to work towards better outcomes for children and families. Jonathon is married with 3 children ages 22, 20, 15.